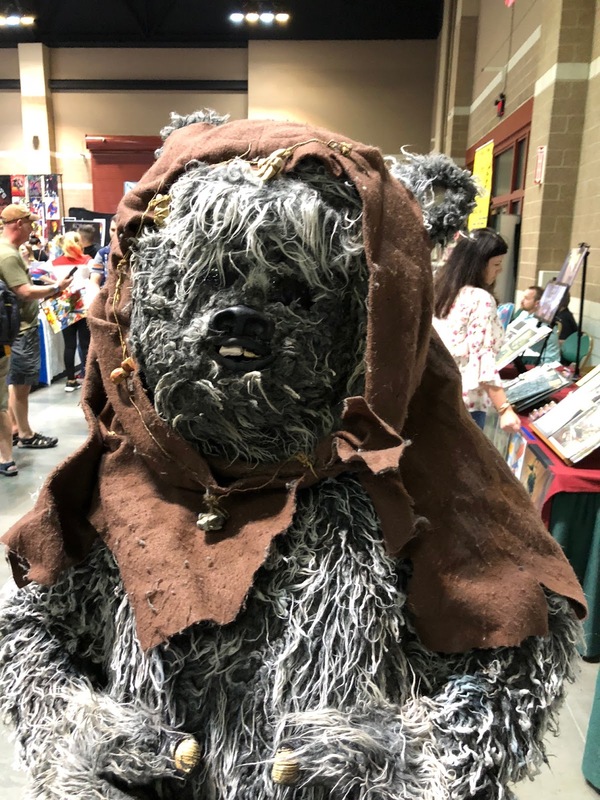 I attended the Saint Louis Mighty Con/Comic-Con this year and while there I had a a great time! 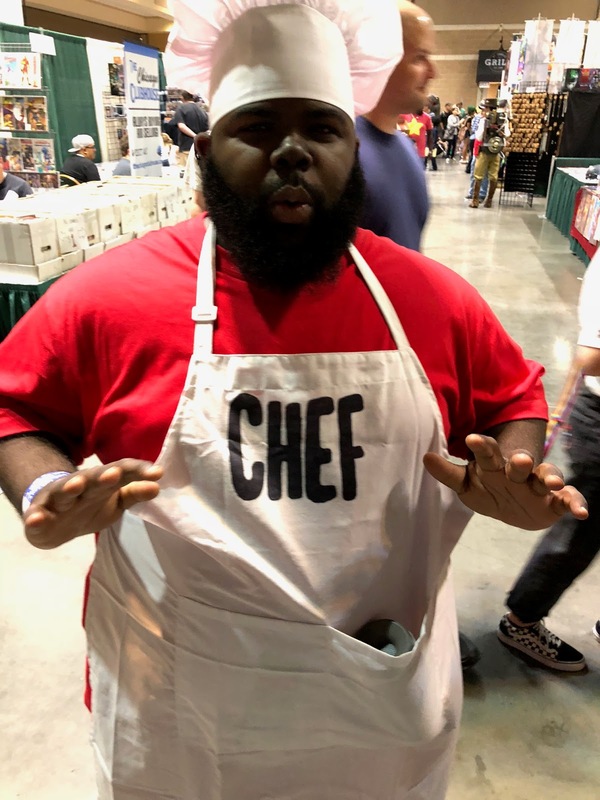 One thing I love seeing at cons is people engaging in cosplay. 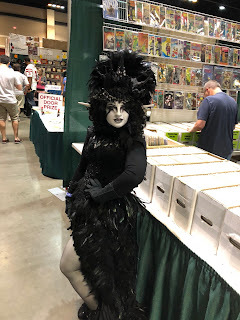 This year I saw a number of great getups I thought I would spotlight! 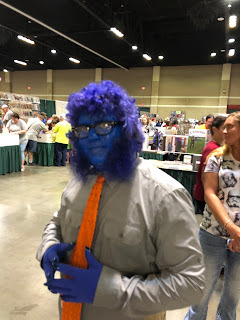 One of the first cosplayers I ran into was this very detailed and impressive version of Beast (of X-Men fame). He actually told me about his Facebook page you can find here. Speaking of furry fellows (or possibly a gal within the getup), this Ewok was very friendly too and looked like he/she had stepped right out of, "Star Wars!" 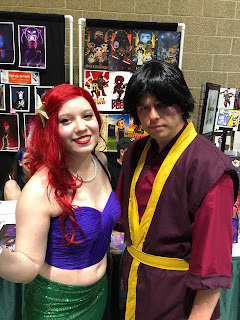 I was impressed by the incredible outfits being worn by Ariel ("The Little Mermaid," and Zuko ("Avatar: The Last Airbender")! This woman had an amazing original outfit she said was inspired by the, "Dungeons and Dragons," character known as, "The Raven Queen." You really had to see her in-person to witness how awesome her cosplay was! I was overjoyed to run into Chef from, "South Park." It made me smile! 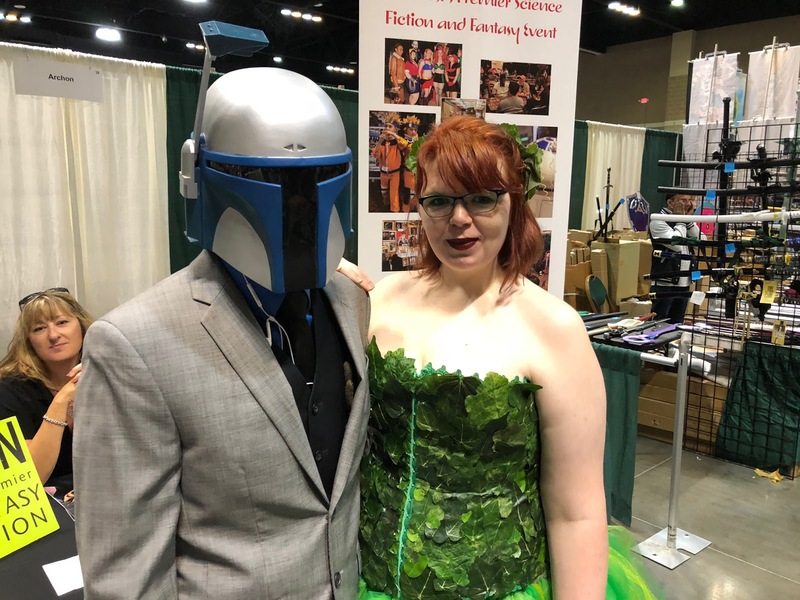 Lastly, this dapper Jango Fett ("Star Wars,") and Poison Ivy ("DC Comics,") were quite the cool contrast of a couple with his gray and blue versus her green and red! The cosplay at the show was great and has me already excited to see what folk will be wearing at the next Saint Louis Mighty Con in 2019! I'll have a post up a little later discussing all the people I met and stuff I got too, so stay tuned to the blog!